As we have mentioned before, one of the special features of Sunpenny Publishing and its imprints is its international group of authors. Although we are a British based company, our writers come from as far afield as New Zealand, South Africa and the United States. Even within Europe, we have writers in Italy, Spain and the Netherlands. Within the UK too, we have two authors in Wales, one in Scotland, and others in various parts of England. Location therefore plays a significant role in our range of books and we are proud of being able to bring readers glimpses of different parts of the world through both fiction and memoir. Our readers can armchair travel to Wales or Zimbabwe, to Scotland or Texas, and to the Netherlands or New Zealand. And the reason they can do that is because our writers are great travellers who explore their countries by land and even by boat. 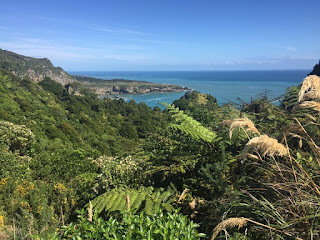 Debbie Roome, the author of Embracing Change and Broken Shells, grew up in Zimbabwe, spent many years in South Africa and now lives and writes in New Zealand. She loves travelling through her adoptive country and has even written guides for travellers. 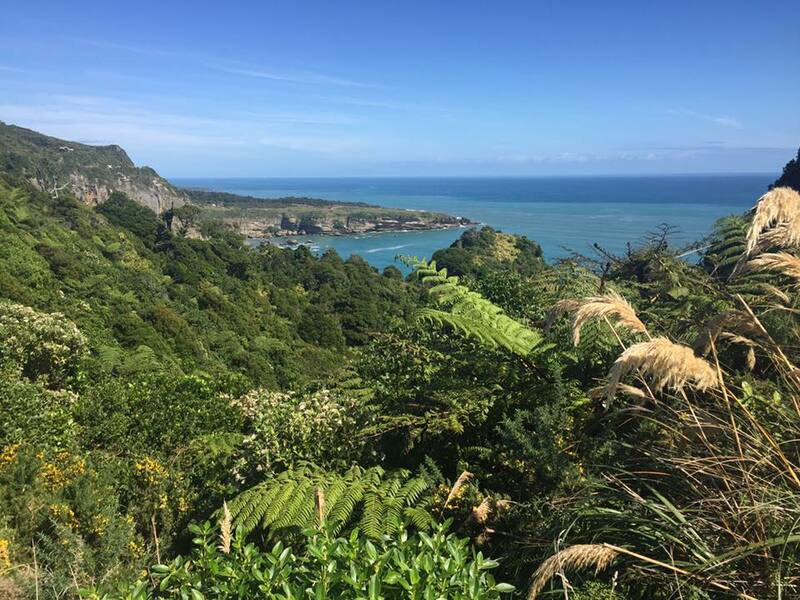 As she says, what she loves about New Zealand is "the peaceful lifestyle and incredible beauty of this little country. We have alpine lakes, majestic mountains, hot pools and boiling mud, rain forest, endless beaches, volcanoes and glaciers! Just driving through such scenery inspires me." Debbie has been able to draw on these extensive travel experiences when writing her evocative romances. Another of our writers who has transplanted herself to a new continent is Stephanie Parker McKean. 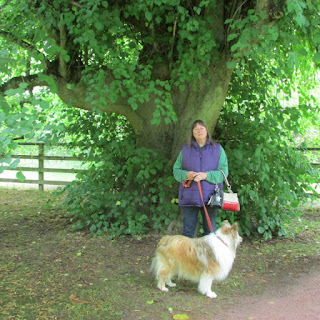 Of Texan origin, she travelled from her home of searing heat and magnificent arid landscapes to live in the north of Scotland with her Scottish minister husband. Her entertaining and funny murder mysteries, Bridge to Nowhere and Bridge Beyond betrayal have such a strong sense of place, the reader can tread the dusty roads and feel the burning heat of the Texan landscape. Stephanie has a special attachment for rocks as a result: "I love rocks and am endlessly fascinated by them" she says and she finds great solace in building structures and walls from natural stone. Tonia Parronchi's sailing memoir, A Whisper on the Mediterranean is also inspired by her passion for adventure and travel. Imagine taking off on a small sailing boat with a baby and then enduring Mediterranean storms and sea sickness while trying to care for a child in nappies. Such is her love of the Italian islands (and her husband, of course) that she was prepared to embark on a entire summer of sailing from island to island down Italy's breathtaking coast. In Tonia's words: "I can observe (Italy's) nature in minute detail as it unfolds around me, season by season and take such joy in the small changes which consequently make their way into my writing." 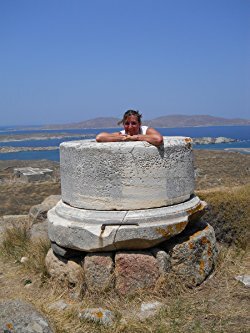 Other Sunpenny writers have imbued their books with their own unique sense of place as well, something they have only been able to do through personal experience and travel. Julie McGowan, whose novels The Mountains Between and Don't Pass Me By are set in beautiful south Wales, glow with her love of her country. 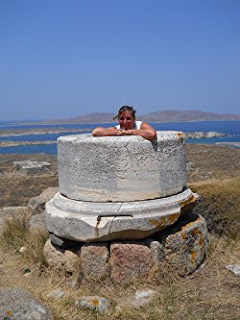 Suzanne Cordatos is another, and although her home is in Connecticut, she has travelled often to Greece, the home of her husband's family. Her children's novel, The Lost Crown of Apollo, reflects both her knowledge and her affection for the country. She calls it her 'love letter' to her Greek relatives. In fact, nearly all Sunpenny's authors take the reader to somewhere new, somewhere different: Janet Purcell writes about Cape Cod, Valerie Poore's books are set on the Dutch and Belgian waterways; JS Holloway takes us to Zimbabwe; Eugene Barker invites us to share the French Pyrenees with her. And these are not the only ones, for Sonja Anderson takes us travelling to the Middle East, Sandra Peut to Australia and William Wood shares gems of many of the places and countries through which he has travelled. Travel has enriched the lives and imaginations of our authors and without it, they would not have been able describe the settings in which their stories are centred so richly. For many others, though, such widespread travel is not possible, so virtual journeys through reading can be an exciting alternative. To enjoy a taste of our authors' experiences and the countries they love, visit our website at www.sunpenny.com and see our books for some wonderful novels and memoirs set in glorious and exotic destinations. It's great to see how many of Sunpenny's writers go travelling! Twitter: the writer's best friend?